Summary of the project: In a month I created a campaign with Promundo in Rio de Janeiro that advocates for a woman’s right to choose. Haywood Watkins III, a WPP Fellow, spent a month in Rio de Janeiro working with Promundo to create a campaign that advocates for a woman’s right to choose. Read his case study here. 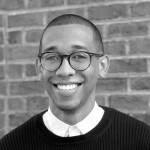 Haywood Watkins III is a WPP Fellow. During his fellowship he worked in New York City at The Futures Company as a strategic consultant, in Melbourne at VICE Media as a copywriter and content strategist, and CHI & Partners in London as an account planner. Before the fellowship, Haywood graduated top of his class with a MS in Communications Strategy from Virginia Commonwealth University’s Brandcenter — the number one ad school in the United States. He enjoys: asking “what if?” and answering “why?”; observing minutiae, nuances, and particulars; reading John Steinbeck novels; & devouring Cinnabon. Haywood’s TIE placement was with Instituto Promundo, in Rio de Janeiro, Brazil. He developed a campaign to foment the discussion about the legalization of abortion in the country. You can read more about the project here.